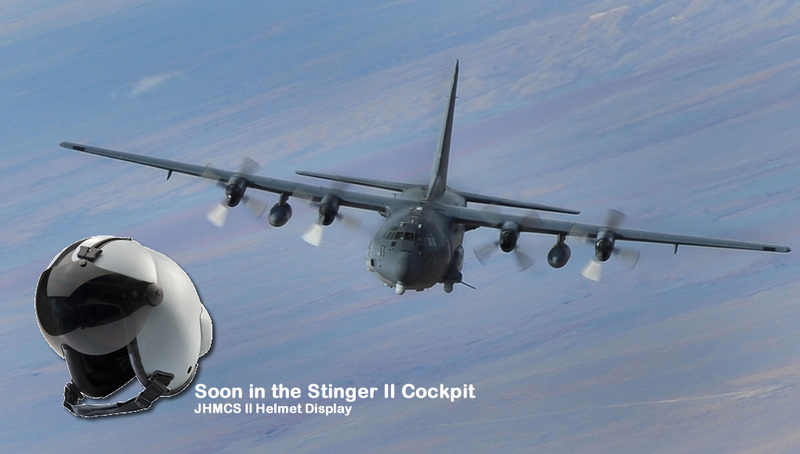 New helmet sights to be introduced on U.S. Air Force AC-130W Stinger II gunships in the next two years will improve situational awareness and responsiveness, and enable their pilots to better support ground forces and employ precision weapons from a safe distance. The upgrade is part of a system integration that also includes the re-installation of 105mm gun and introduction of Hellfire missiles. Lessons learned from overseas contingency operations have modified the near-term fire-support requirements of the U.S. Special Operations Command (SOCOM), resulting in a demand for more gunship aircraft. In May 2012 the MC-130 Dragon Spear II was renamed AC-130W Stinger II, representing a new effort to increase the gunship’s precision fire capability. 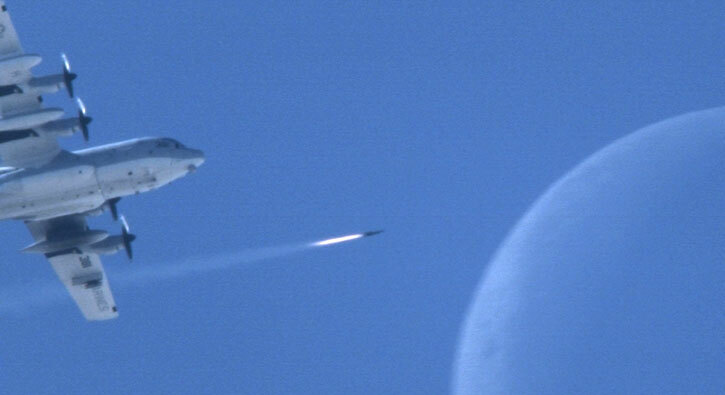 Field-proven weapons such as the AGM-176 Griffin and the GBU-39 small diameter bomb (SDB) were added to the aircraft through an accelerated acquisition and integration process that took only 18 months. 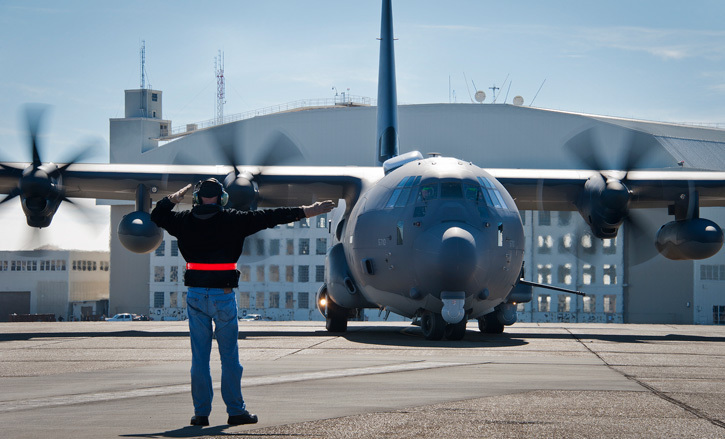 Currently there are 12 AC-130W aircraft in active service, supporting SOCOM operations worldwide. 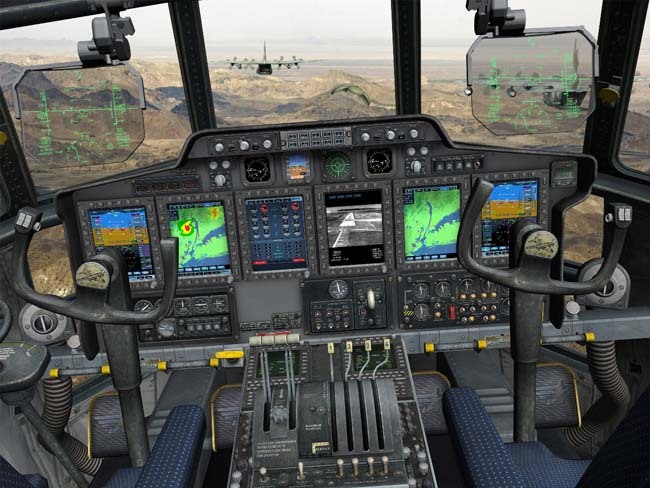 Over the next two years the AC-130W gunships will be equipped with helmet-mounted sights, to enable the gunship crew to control the weapons and avionics on board just by looking at targets. 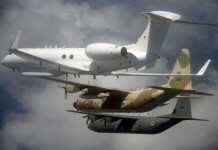 This capability has become the norm for fighter pilots, but has not yet been implemented in the military transport fleet. The AC-130W will be the first implementation of the Joint Helmet Mounted Cueing System (JHMCS), developed for fighter pilots, in a military transport plane. The JHMCS helmet is lightweight and well balanced, to accommodate its integrated electronics. Its center of gravity is especially placed to reduce pilot fatigue, especially on the long-duration missions common to AC-130s. Designed to improve pilot situational awareness, JHMCS II uses a helmet-mounted display system to project color symbology on the visor, at an intensity level adjustable for day and night modes. Head tracking provides accurate measurement of the line of sight, giving pilots increased situational awareness in any direction they are looking. The applications supported by the system enable immediate and accurate recognition of friendly, threat and unknown targets. The JHMCS developers – Elbit Systems of America and Rockwell Collins, will integrate the cueing system over the next 24 months. This first integration on the C-130J platform will open further opportunities to install similar systems on other C-130J derivatives. “With this awareness, AC-130 pilots flying with JHMCS II will have a decided advantage” says Raanan Horowitz, President & CEO of Elbit Systems of America. 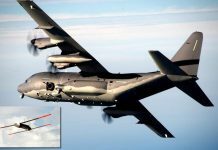 The AC-130W Stinger II is the latest, most advanced version of the AC-130 gunship operated by the U.S. Air Force under the Special Operations Command. 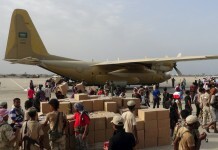 Its primary missions are close air support and air interdiction. The aircraft is a highly-modified C-130H, featuring improved navigation, threat detection, countermeasures, and communications suites. 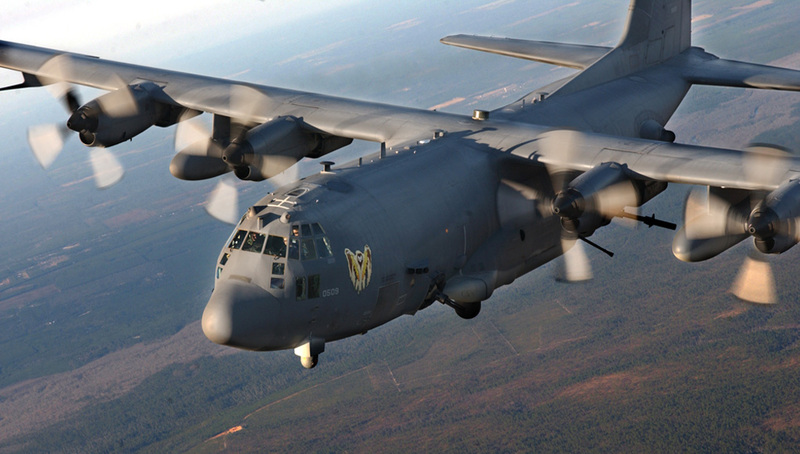 All 12 AC-130W aircraft are modified with a precision strike package (PSP) to perform their gunship missions. Furthermore, 37 MC-130Js will be modified with the same package, enabling the unarmed Super-Hercules to convert into AC-130J gunships. Modifications to the AC-130W include a mission-management console, a communications suite, two electro-optical/infrared sensors, fire control equipment, precision guided munitions delivery capability, and one side-firing, trainable, 30mm gun with tracer-less ammunition and an associated munitions storage system. These aircraft will also equip with the 105mm gun removed from the recent models; it will also be fitted to carry Hellfire missiles, in a similar way the US Marine Corps’ Harvest Hawk does. 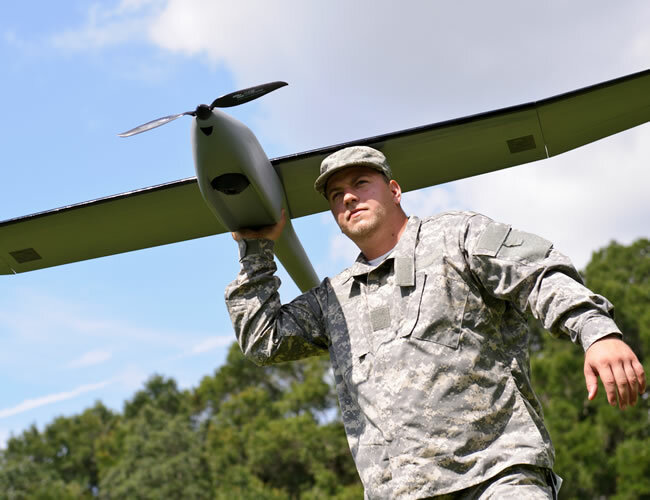 The mission management system will fuse sensor, communications, environment, order of battle and threat information into a common operating picture. 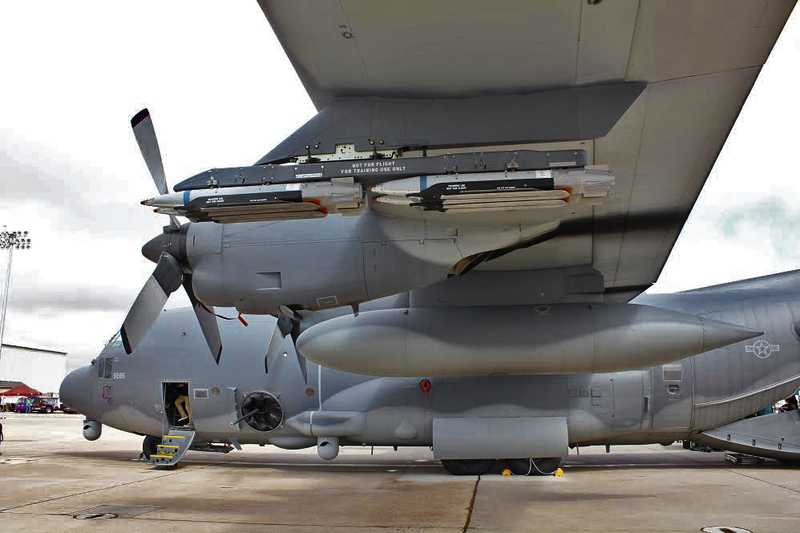 The AC-130W Stinger II Precision Strike Package modification provides ground forces with an expeditionary, persistent, direct-fire platform that delivers precision, low-yield munitions, ideally suited for urban operations. 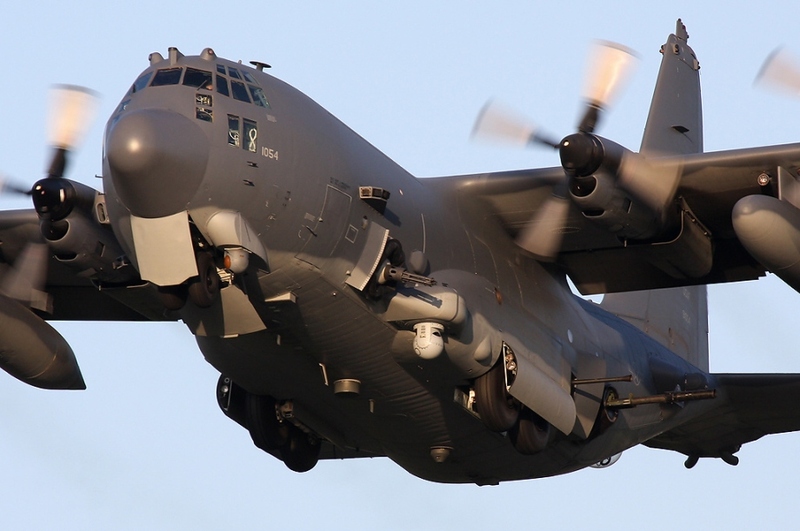 The AC-130 can carry AGM-176 Griffin guided missiles internally, and GPS and laser guided Small Diameter Bombs packed on a multiple bomb rack carried underwing. 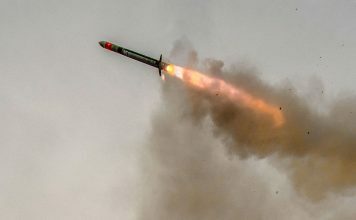 The aircraft is also prepared to carry other precision guided weapons such as the Nemesis, stored in Common Launch Tubes (CLT).